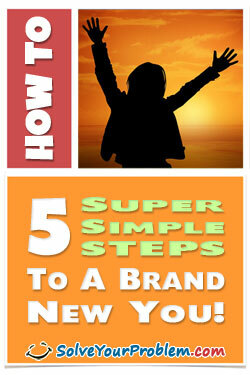 Album: Success-Happiness 5 Super Simple Steps To A Brand New You! Have you ever avoided doing something, even though it would make you feel good or help you accomplish a goal? in your rut means you stay safe. Why is it so easy to slip back into our old habits? up your motivation and finally take some damn action! Download my incredible self-empowerment guide today! Lose Weight. Exercise. Amp It Up. Learn How To Say "I Can" Instead Of "I Can't"